In 1987, I was working out at the gym regularly and wondering to myself – with all this working out why do I still feel kind of ‘chunky’. For all my efforts (of which I enjoyed) I never was realizing what I thought should be better results in terms of my physique and tone. One day I noticed my company was offering some health promotion programs and one was about nutrition and daily life – A Plan for Life – it was called and I’ll NEVER forget the name because the truth be told – choosing to eat healthy is a plan for life!! I signed up – an 8 week lunch time course in which we were educated by a nutritionist and part of the activity was keeping food records each week that she would review. We would record what we ate for breakfast, lunch and dinner, or snacks, what time we ate it, whether we felt satisfied, full, or stuffed, and if we worked out and what we did (walking, aerobics, biking) and for how long. Well, was I SHOCKED when I got my first food record back because I had NO idea about all the things I was eating (mainly related to choosing food out at restaurants). I called my new approach the 3 C’s – things I could cut back on, cut out, or change. Was it going to be easy? No, because you do have to change your eating habits, but slowly, slowly, slowly (with all the wonderful guidance from the nutritionist and my own perseverance to stick with it) – I made healthier and more informed choices and the results became apparent. Slimming and trimming occurred. Did it happen overnight? No, it actually took 3 years of slow methodical change. Did I ever consider it a diet? No, because I never felt like I was depriving myself – just learning how to eat differently. Choose soups made with “broth” (my mistake- soups with cream and I did not even know it!!). And don’t be afraid to ask before you order if a soup is cream or broth-based. Pizza – now I only choose pizza with cheese and vegetables or chicken I used to have pizzas with sausage, hamburger and pepperoni (my nutritionist used to call that triple fat). Her advice was to still enjoy a pizza but find other ingredients. If the waiter brings bread to the table, have them take it back. And don’t ask for it either. It cuts into your hunger for the main meal. Cut out fried food – yes that means French fries, tacos, egg rolls, fried chicken, onion rings, any fried appetizer, and chips. I’m not a great cook or even a good one at that – but I find myself eating more fish and chicken. Trying to either grill or bake it. Salads – always ask for the salad dressing on the side. And there are some salads to avoid altogether – like Caesar. Avoid pouring all the dressing on the salad. Otherwise it’s more like dressing with a bit of greens. Try to make “the greens” be the star. Also sometimes it’s better to order a salad and split it with someone – this goes back to eating a little less. Always have a piece of fruit or yogurt on hand. It’s a better snack!! Try to drink more water than you think you should. When choosing Mexican – go for the chicken or vegetarian burritos – little cheese and no sour cream and guacamole. Oh yeah – no more chips to dip. No more ‘cream’ with pasta. It must be in a broth or red sauce and more fish or chicken if possible. Any recipes I make that require oil – I usually cut that in ½. In fact when I’m out for lunch or dinner I always mentally cut my meal in ½. I slowly work in the first ½ and before I realize it – I’m comfortably full – and I’ve no shame in taking the other ½ home for lunch the next day. Portion sizes are actually bigger than they need to be. You don’t have to eat it all!! My name is Hilary and in 2009 I became an “Accidental Entrepreneur”. 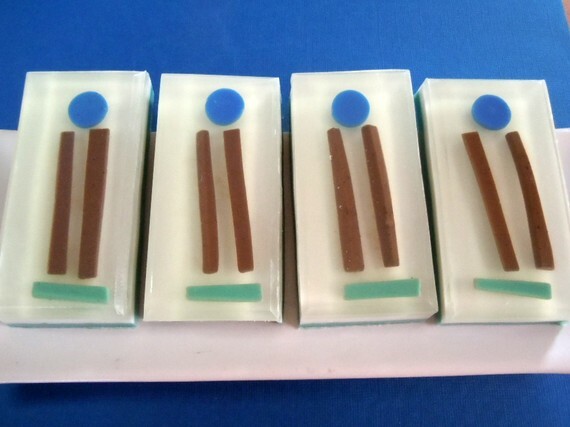 After 25 years, I transitioned out of my high technology profession as a project manager and business analyst designing and implementing web based applications into a new and exciting world of soap crafting. I’ve always been a creative individual with very limited time to exercise my passion and now my creative juices have been unleashed. I’m really excited and motivated to be on this journey – developing a new discipline around designing, crafting, packaging, and marketing my soapy art. A Slice of Delight soaps are fun to use (especially after a good workout) and ruffle you senses (you will get addicted). My household fan club consists of my husband and identical twin boys who are rooting for me all the way to the bathtub or kitchen sink (where they can always find soap). Next post: Poll: What Is Your Favorite Warm Weather Activity?